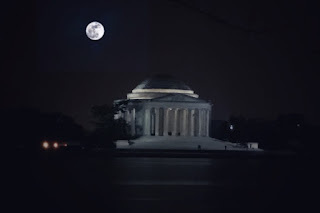 Our next Art Walk will explore the Tidal Basin on a day of the longest total lunar eclipse of the 21st century when the moon will turn blood red as the Earth's shadow blocks the sun. 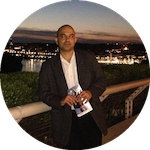 We will start our Art Walk at the Washington Monument and walk towards the Tidal Basin where we will take pictures from different locations while exploring the national monuments at sunset. 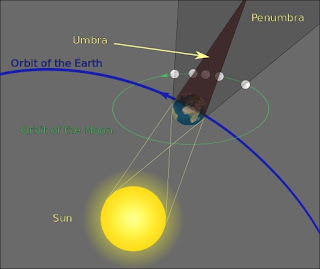 A total lunar eclipse takes place when the Earth comes between the Sun and the Moon and blocks any direct sunlight from reaching the Moon. When this happens, the Moon can turn red, due to the earth's shadow earning it the nickname of Blood Moon. During a lunar eclipse, even though the Earth blocks sunlight from directly reaching the surface of the moon, it is still visible because Earth's atmosphere bends sunlight and indirectly lights up the Moon's surface. The colors with shorter wavelengths get scattered and filtered out, while colors like orange and red, which have longer wavelengths passes through the atmosphere. Note: Although the rest of the world will experience this celestial show, it will not be visible from North America. 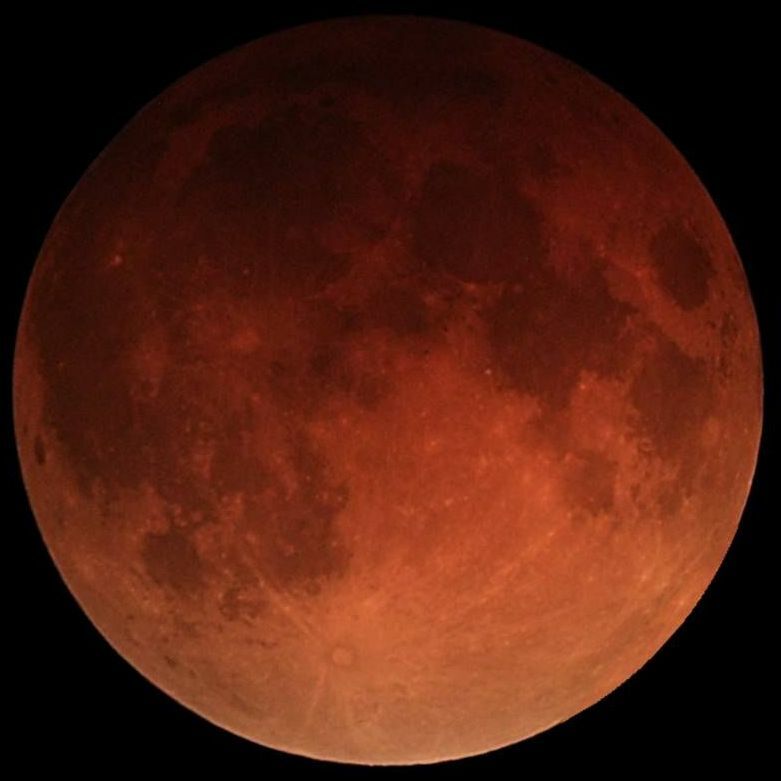 The July 27 Blood Moon will be the longest total lunar eclipse of the 21st century. Middle East and Greece will be the prime locations to see it. It is considered to be the longest eclipse of the century since the Moon will also be at its most distant point from Earth in its monthly orbit, making the Moon appear smaller in the night sky and taking it longer to completely pass through the Earth’s shadow. Description: Explore the lunar eclipse at the Tidal Basin as we compete for the best photo for our Art walk contest. EVENT CANCELLED DUE TO BAD WEATHER FORECAST.